ISE at the "Energy Mission 2017" in Washington, DC. ISE at the «Energy Mission 2017» in Washington, DC. 10/25/2017, Washington, DC. 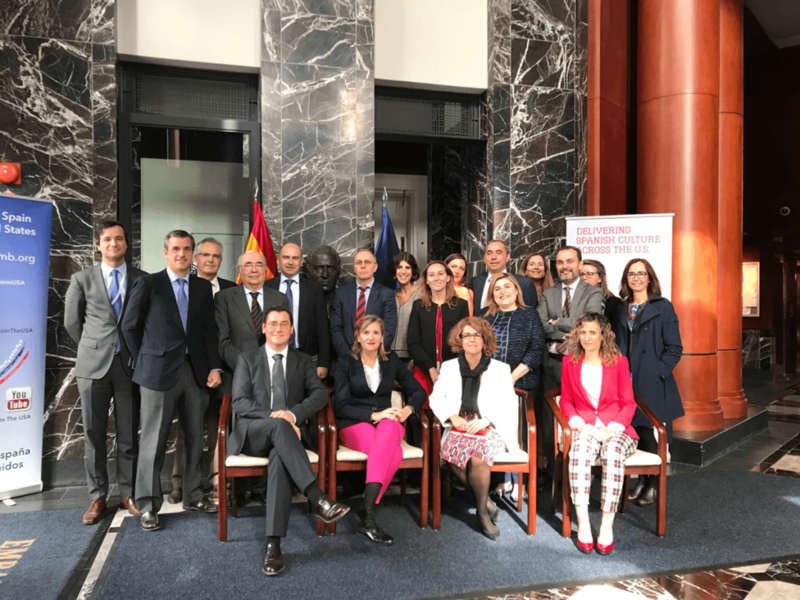 Representatives of the Andalusian and Asturian companies, Economic and Commercial Counselors and representatives of Extenda. An event focused on business opportunities in the energy sector that international financial institutions offer. 11/03/2017 Ingenia Solar Energy (ISE), attended recently with another nine Andalusian companies supported by Extenda (the Andalusian Agency for International Promotion), to the «Energy Sector Mission 2017» organized by the PSLO network (Private Sector Liason Officers) of the World Bank, which took place in the United States, specifically in Washington, DC. from October 23rd – 25th. This joint mission involving energy companies from the Inter-American Development Bank, the Asian Development Bank, the Millennium Challenge Corporation and the European Bank for Reconstruction and Development, was aimed at those interested in learning about business opportunities in the energy sector and had as its mission theme: “Integrating Sustainable Energy in Global Development”. During the three-day event, we had the opportunity to acquire information about the strategies in the energy sector, meet the experts of the institutions, exchange experiences and establish contact with the more than 80 companies and potential partners that came from different countries, such as Austria, Germany, Mexico, China, United States, United Kingdom, Belgium, France, Ireland, Switzerland, Norway and Canada, as well as Spain. Thanks to Mrs. Sara Hormigo Carnero, Head of the Multilateral Department and Extenda, on the 25th in the afternoon, we were received directly by Mr. Pedro Morenés Eulate, Ambassador of Spain in the USA, and Ms. Elisa García Grande, Economic and Commercial Counselor, who presented us together with the other companies to expose our concerns.